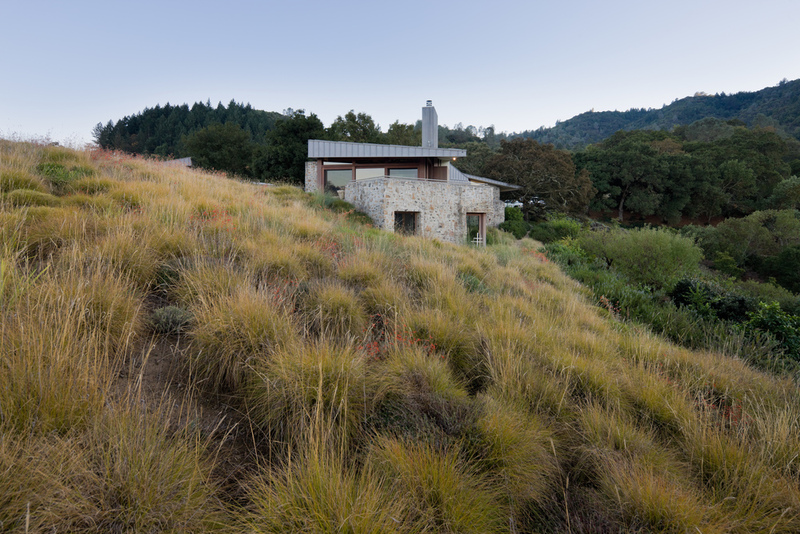 This residence sits within an existing meadow with views through an oak woodland to the surrounding Napa Valley hills. The landscape design consists of a series of large stone slabs that create a formal entry and primary outdoor patio space, while connecting the two bars of the residence with one another. The design preserves the four existing Valley and Coast Live Oaks. A threshold is created between the parking court and the residence with a line of stainless steel fins and a structured planting of Chondropetalum. 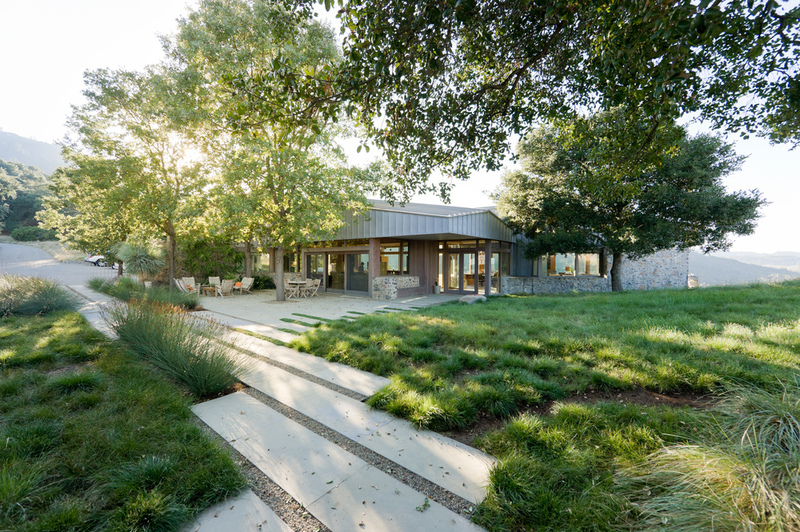 To the north, low water use meadow grasses subtly blend into the stepped edges of the patio, blurring the edge between the design and the landscape beyond.